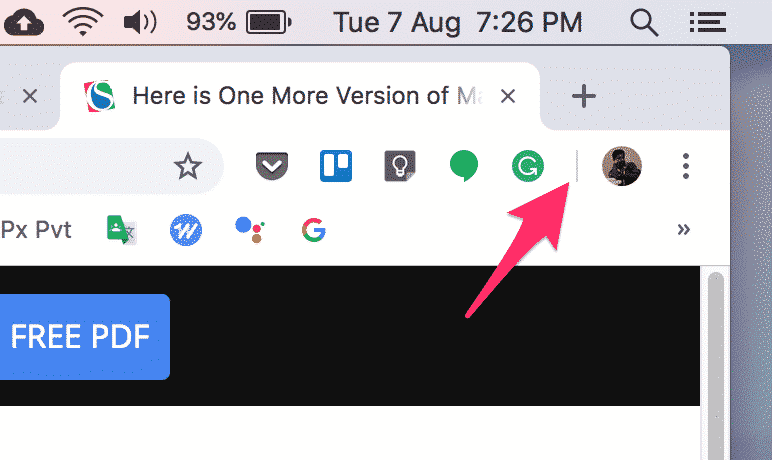 If you have played around with Google Chrome’s upcoming Material Design interface, you might have noticed a vertical line dividing the space where all the extension icons are displayed. Looks like this line has a purpose. The area on the right hand side of this line is called “Trusted Area”. As the name suggests, this is where all the trusted items show up on the toolbar. You will mostly see icons related to Chrome features on the right side. For now, I only have my profile icon on the right side. All the extensions have to stay on the left, since they are (mostly) third-party content. Based on what I read on this bug description, not every feature icon will show up there. I have no clue what a “First class feature” is, do you? This bug was filed to add Chrome’s Cast icon to the Trusted Area. According to the bug description, you will have two options, one, always show the icon, even when you are not casting (much like the cast icon on the Android Quick Settings menu), or, show the icon only when you are casting from Chrome. We might soon see a flag to enable this feature, and when it is made available, it will be a great help to those who cast frequently from Chrome.